C. E. Byrd isn't your typical high school, so why should our Freshman Orientation be typical? Freshman "Cruise the City" for an afternoon before school starts to learn the campus and the "ins & outs" of "The City". After a busy afternoon "Cruisin' the City", your freshman student is bound to be hungry. Join your student prior to the parent meeting for a "hit the spot" hamburger supper. Get into the Homecoming Spirit by attending our annual Homecoming Tailgate party! Students, alumni, family & friends are all welcome to join the festivities. The Byrd Foundation raises money to be used for technical improvement, electronics, and other "big ticket" items the school needs, but neither the school or the PTSA has the funds to provide. Meet your student's teachers by walking through their schedule. There is also an opportunity to purchase clothing and other spirit items from Byrd's sports teams & clubs in the Girl'd Gymnasium. A Book Fair (specifically books requested by the instructors) will be held int he Learning Center. The Kroger Awards program is an opportunity to help fund the Byrd PTSA simply by shopping at Kroger's. An opportunity for 8th grade students and their parents to be introduced to the educational & social opportunities at C. E. Byrd High School. Requirements to attend C. E. Byrd are also addressed. Parent and Student Informational Meeting in the auditorium. Parents and students visit classrooms and teachers with additional opportunities to meet coaches, club sponsors, counselors, and administrative staff. 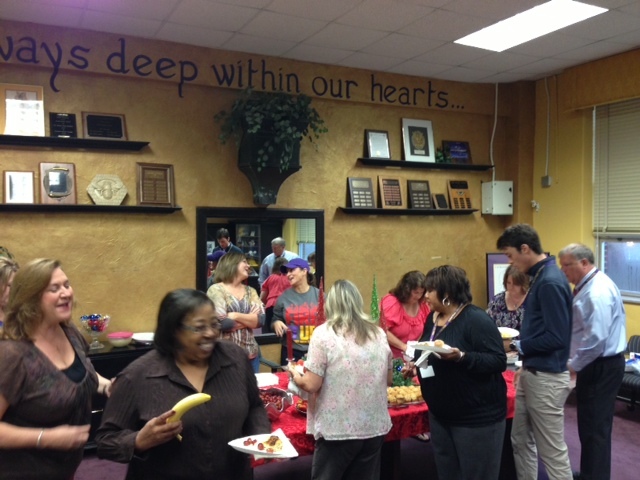 For one week each spring, the Byrd PTSA recognizes the hard work & dedication of C. E. Byrd High School's amazing teachers by sponsoring luncheons, breakfasts and more! We'll need lots of help to make this year's Teacher Appreciation Week a success. Check back during 2nd Semester for more information and opportunities to help.